Through Ann Harrington’s Reading Methods course and a partnership with the Hispanic Family Center, graduate students in the NC State College of Education are tutoring children who need extra reading support this semester. During the process, the graduate students are building their expertise in reading instruction while giving hope to families facing multiple challenges. 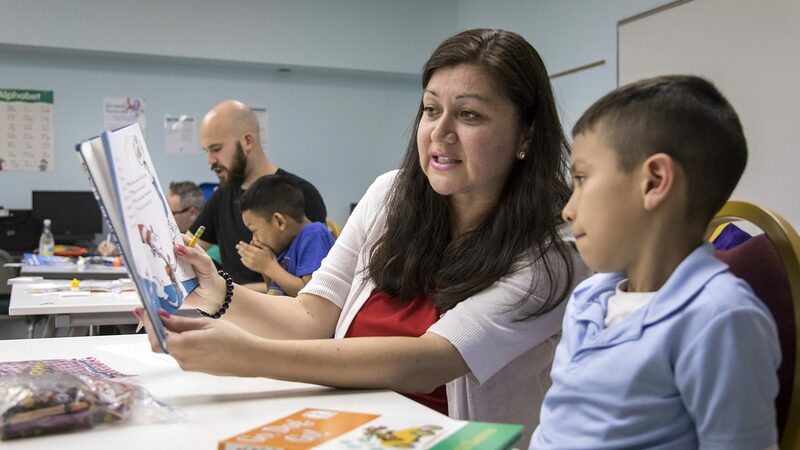 Many of the people David Juarez Torres helps as the case manager coordinator at the Hispanic Family Center in Raleigh are first-generation immigrants who face English language challenges and have had little opportunity to pursue formal education. That makes it especially difficult for many parents to assist their school-age children with literacy and homework, he said. But the Reading Buddies Tutoring Program gives these families hope. Ann Harrington, PhD, a teaching associate professor of reading and elementary education in the NC State College of Education, started the program in 2014 as part of an experiential assignment/learning experience in her ELM 572 Reading Methods course. The graduate students taking the course are paired with children from families the Hispanic Family Center serves and provides reading tutoring once a week. This semester, the graduate students are tutoring 21 children at this site and at another community-based organization. “This program has given hope to many families who are at the end of their rope in seeking assistance for their children,” Torres said. He works with families to provide them options and services to meet their needs and empower them to overcome challenges that they may be facing. While the Reading Buddies project is in session, Torres and his colleagues meet with the families of the children who are being tutored, who may have limited access to food or need legal and immigration services. “This program has helped the children raise their grades and in turn given them a healthier mentality and outlook towards schoolwork as well as given their parents renewed hope and outlook for their children’s academic futures,” he said. 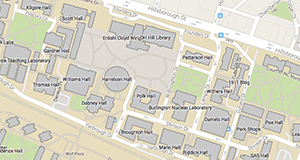 The Reading Buddies project was inspired by the University of Virginia’s Book Buddies program and the University of Chicago’s Howard Street tutoring model. Harrington began looking for community-based organizations with whom to partner once she joined NC State in 2013. That’s when she found the Hispanic Family Center. The operation started small with Harrington and a few of her students helping with homework at the center’s existing after-school program. That went really well, and expanded to working with families of children who needed extra support in reading and hosting Harrington’s class of graduate students weekly for a semester to serve as reading tutors. One of those graduate students, Stephen McKinney, only knew what it was like to be on the student side of the desk when he began as a tutor. Not knowing what to expect the first night of this experience, he said Harrington’s focus on building relationships set him up for success with Maria*, his student for the semester. Stephen McKinney, Masters of Arts in Teaching candidate, reviewing intervention plans with graduate tutors. Photo by Ken Martin. “We have this wonderful get-to-know-you lesson, and I think that was maybe the most important thing for me — learning how to talk and relate to her and using that information along with her interests to guide our reading instruction,” he said. Relationship building is a critical component of creating a reading intervention plan customized to each child enrolled in Reading Buddies, Harrington said. Graduate students apply the knowledge gained from her Reading Methods course and create a customized learning environment to excite and ignite the children’s passion for reading. 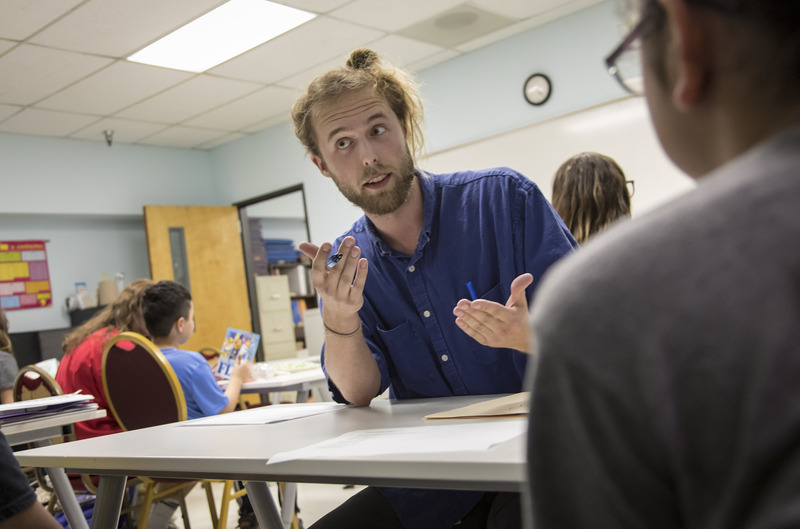 “I think it’s a rare experience in a teacher preparation program that you are given the opportunity to take what you learn about evidence-based literacy practices and apply them weekly in a tutoring setting,” McKinney said. Harrington’s philosophy is that her graduate students will take their experience in this one-on-one environment and build on it when they enter their own classroom to teach reading. 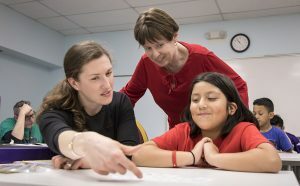 Last summer, Ann Harrington, pictured above center, and a team of five College of Education students and alumni spent six weeks working to prevent summer learning loss among children in East Durham. While helping to meet the needs of the campers, the team learned five traits of effective teachers in any classroom. Harrington also learns a lot about herself through this project every semester, she added. With every tutoring session she attends — and she attends every single one — she reflects on her personal teaching methods by watching her students take what they learn in her classroom and implement it with her support. The tutors administer assessments to the children at the beginning and end of the semester in the areas of word identification, comprehension, spelling, and fluency. Harrington said most of the children in the program make significant growth across the reading assessments administered over the course of a semester, thanks not only to the tutoring program, but also to the reading instruction they receive in school and at home. “In my experience, I’ve seen a major growth in a lot of comprehension and word identification skills, but more than that, I think that kids leave this program becoming more excited to read,” said McKinney. As for the Center, Torres said Reading Buddies offers new hope for families experiencing challenges with their school-aged children. 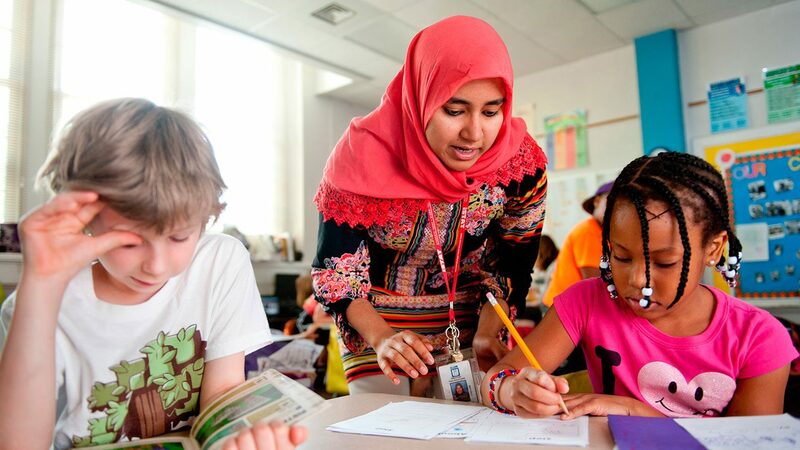 Over 1,100 professional educators are enrolled in the online course called Teaching Foundational Reading Skills, which NC State College of Education faculty designed to provide educators with research-informed instructional strategies that they can apply to their classrooms. The pilot initiative will incorporate blended professional development, literacy-specific coaching and the resources first-year, K-2 teachers need to implement effective classroom literacy instruction in high-need elementary schools. Reading is a complex activity that is fundamental to full participation in a democratic society and essential for lifelong opportunity and success. 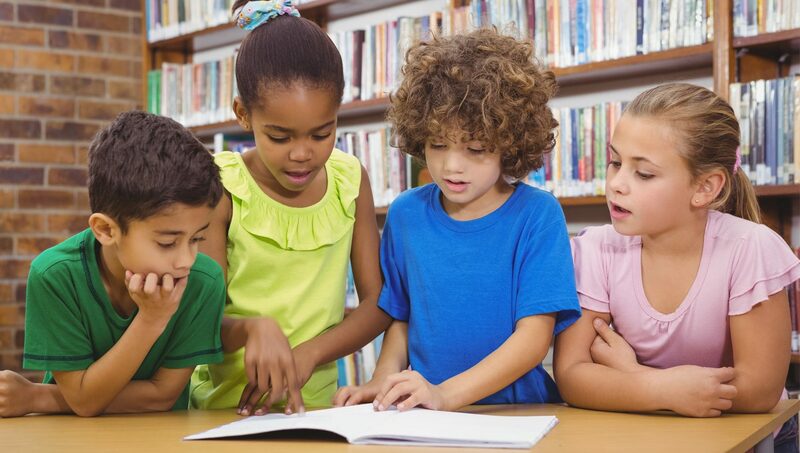 These seven evidence-based principles to help K-5 learners be passionate, critical and successful readers.